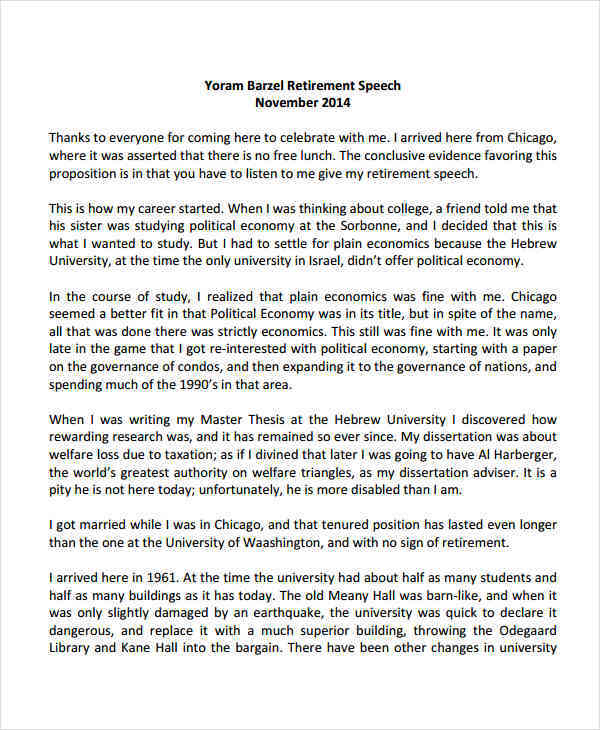 A speech template typically varies in context. This would depend on the purpose of the speech and how a speaker wishes to deliver it. It consists of key points that must be elaborated during the discussion. For any speaker, the goal is to covey a message in a clear and compelling manner. However, public speaking is definitely not for everybody. 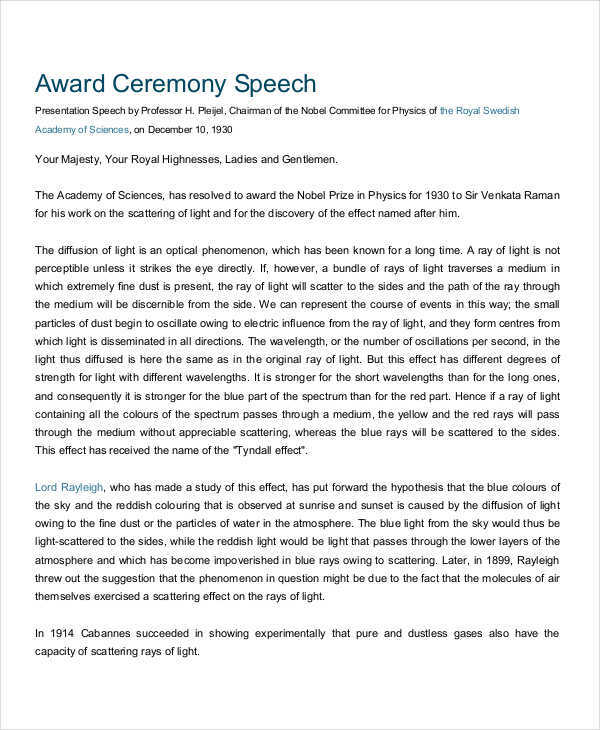 There are several factors that must be considered when delivering a speech in word. With this in mind, it’s important for a speaker to present a speech that is sure to captivate an audience. 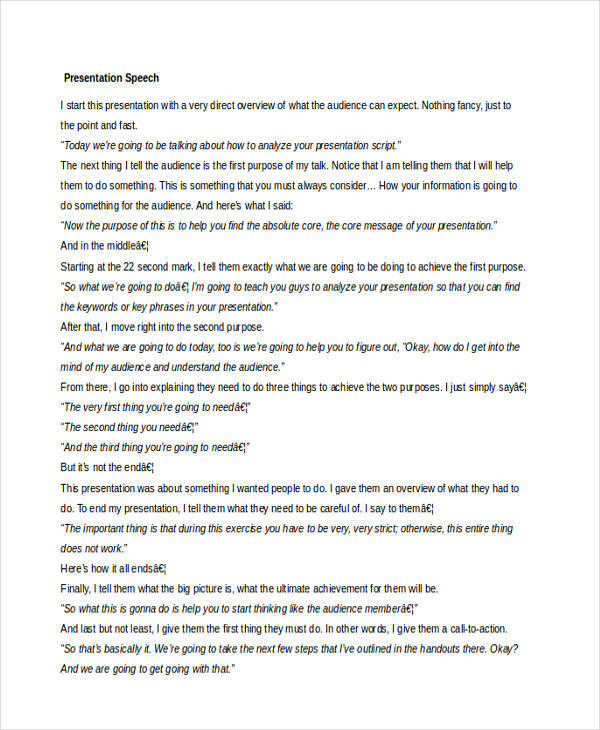 What Is a Presentation Speech? A presentation speech typically consists of a presenter, an audience, and a message. It is a means of communication that is used to get a point across. This is usually given during group discussions, such as company meetings and the like. A speech presentation requires enough preparation for it to be effective. This would mean that the speaker must prepare an informative speech along with its supporting visual aids. But first, you must think about the purpose of the speech and the type of audience the speech will be delivered to. With this, you will be able to gather enough materials that will be used for your speech presentation. This would include intensive research through journals, articles, interviews, and testimonies. By doing this, you may create a concise statement that states your purpose. Constructing an outline will also create a good foundation for your speech outline. This will help you focus on key points that need to be emphasized in your speech. Finally, you need to finalize it. Check for any mistakes in wording and transitions and make the necessary changes. Connect with your audience. Interact with your listeners and make them feel as if they are a part of the conversation. A passionate speaker is sure to attract an audience. Concentrate on your central message. Focus on the message you want to relay to your audience by providing key points. Use visuals. Providing supporting visuals will allow your audience to further understand your message. You can use images, charts, graphs, and the like. Maintain eye contact. Eye contact is essential for face-to-face communication. This is sure to attract attentive listeners. Start out strongly. 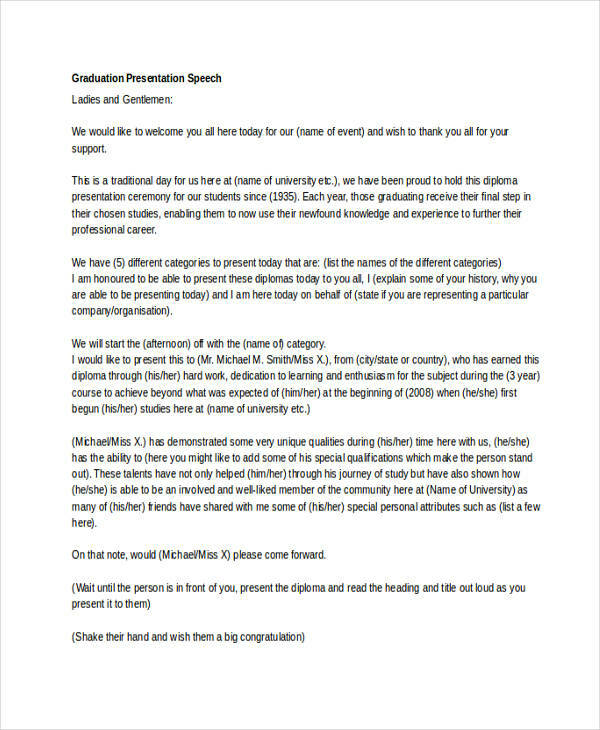 For any speech, such as a valedictorian speech, you’ll want to give a good first impression. A few minutes into your speech, you should be able to build a strong connection with your audience. Tell stories. Creating mental scenarios for your audience will help them pay attention. 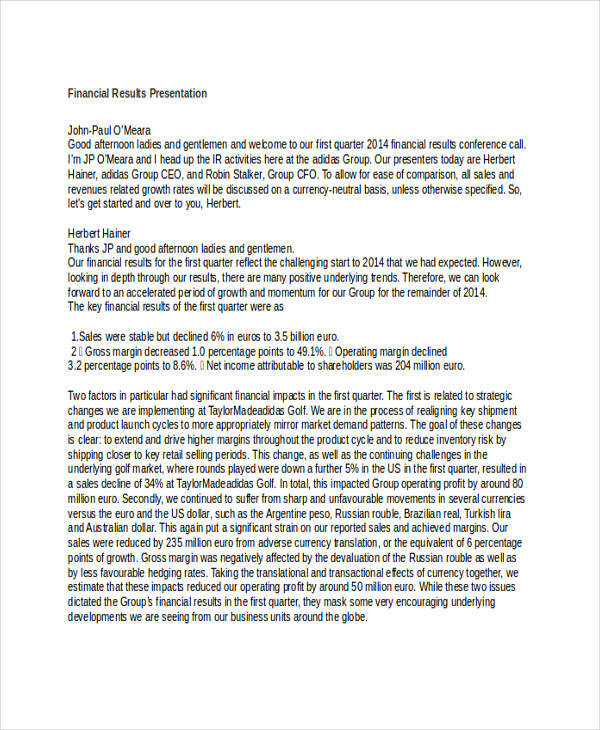 This speech in pdf will allow them to understand the point of your presentation and the morals that must be remembered. Move around. If possible, do not limit yourself to one position. Walk around and use hand gestures to emphasize your points. Allow your listeners to feel your passion for the subject. Come prepared. Have your materials ready and be sure to practice beforehand. You don’t want to be left stuttering during your presentation. This will only make your audience doubt your credibility.